The Houe Is On Fire!!! So the other day my brother and sister in law came over to the house to join us all at dinner. Us all being my wife, my parent in laws, and myself. We each brought out a bottle to share. My bottle was Shackleton's Replica which everyone enjoyed, my brother in laws was Lagavulin 16 yr old, which was also enjoyed by everyone, and my father in laws bottle. Now this is one I've never tried before, but I'd heard good things about this one and having had Ardbeg and Lagavulin before I was very keen to give it a shot! So everyone grabs a glass and pours their own dram so I happily help myself to a dram of Laphroaig. I offer the glass to my wife and she noses it a little bit then recoils immediately. "I don't like that!! Too smokey!!" So I take a nose on my glencairn. The smells of bonfire smoke and peat beat me in the face, with undertones of iodine, burnt bandaids, and seaweed. Very very primal smells for me. It makes me think that this must be what whisky smelled like a thousand or so years ago in Europe. "Don't like that, at all. My throat is on fire!" She then takes a huge glass of water and drinks it. I then cautiously take a sip. In my mouth there is pretty much what I was smelling....Lots of peat, lots of smoke, iodine, and seaweed. This whisky definitely sets me back in time that thousand years ago. I see the Crusades, I see villages on the seaside burning as horsemen ride over a grassy hill. The finish is fairly short with lots of spice, black peppers kicking me in the throat with smoke and peat following it. This was definitely the least favorite whisky of the night. Is it a bad whisky? Nope! I just have to be in a special mood to want to drink any. 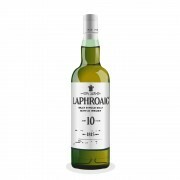 I will have to pick up SOME sort of bottle from Laphroaig eventually, but I'm not sure if this will be the bottle for me. It runs for around $80 AUS at Dan Murphy's. Which isn't half bad, but I think I'd rather grab a bottle of Lagavulin 16 yr old or Ardbeg. This is one of my favorite reviews. 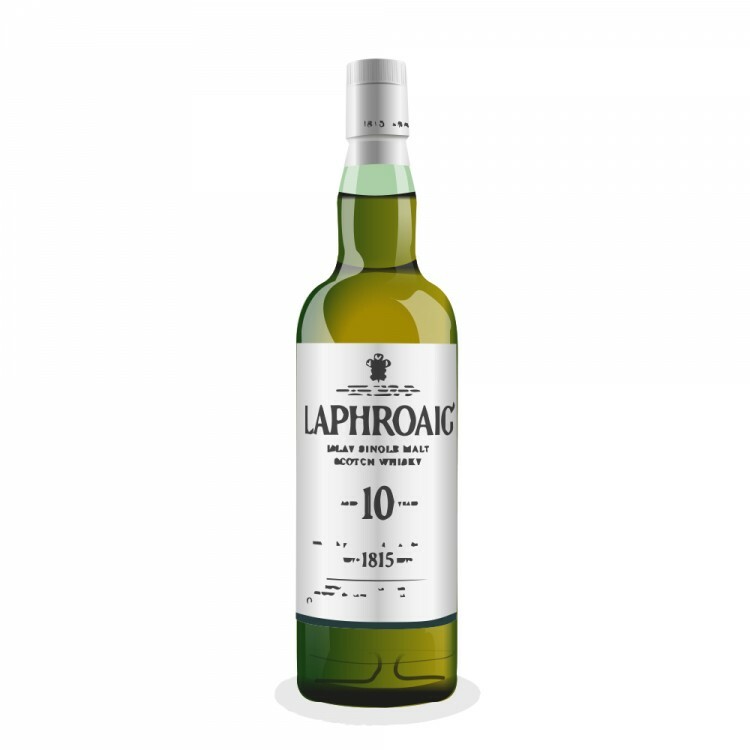 I haven't tried Laphroaig yet, as I'm saving my bottle of 10 year for this year's cold season, but your review makes it so difficult to wait! I'm going to wear my viking hat, eye patch, and get into the pillaging mood before I meet this dram. Thanks MarsViolet!! I'm happy to hear that you enjoyed this review! It looks like you're a bit of a peat head which means in my mind that odds are good you'll really like your bottle! Let me know how it goes though when you crack it open!! I couldn't wait any longer, so took the plunge and tried the 10 year a few days ago paired with squid ink pasta. It was magnificent! I love the smoke and peat and all the soft floraly fruity aromas that weave in and out. It's not overly complex, but then again, the bottle is new, so it could develop a bit. I'm having dram again right now, and I just can't get over how powerful it is on the nose, but goes over the palate like butter. So good! Glad that you enjoyed it! It's a very yummy whisky! I've been trying to snag the Quarter Cask among several other bottles for a while now, but man the 10 yr old is an awesome intense whisky!